A great opportunity to get close to these friendly animals. 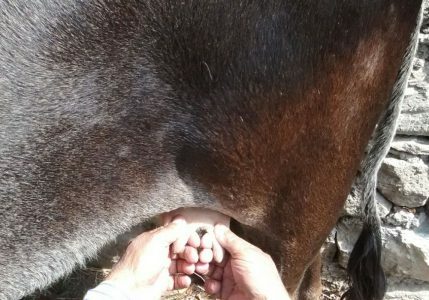 Accessible experience giving direct contact with these wonderful animals; learn how animals are looked after, their feed and the food they produce with engaging and inspiring results. Here you join us in our milking parlour to see where milk comes from before it gets to the supermarket shelf. Elders are very welcome to try it too – it’s often one of those ‘things to do’ on an adult’s bucket list. Visit, stay and meet our Kamdhenu…..